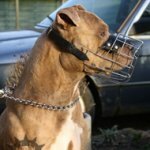 One begins to train American Pitbull puppies to wear a muzzle since 5 months. 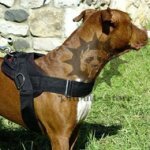 The muzzle is chosen in accordance with the Pit Bull’s head. 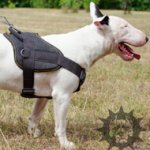 The most comfortable American Pit Bull muzzle is considered to be a blind muzzle made of compact piece of leather with air inlets. 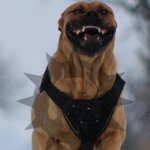 Before one wears a muzzle on a puppy, the muzzle is given for it to sniff around. 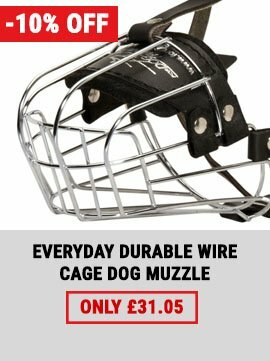 Having put some dainties into the muzzle, one puts it on a puppy. 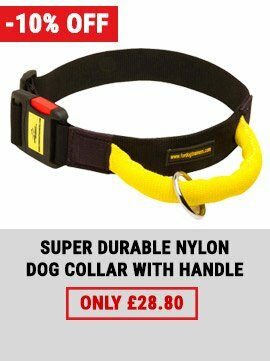 After 2-3 minutes the muzzle is off and one gives the dainty to puppy and flatters it. 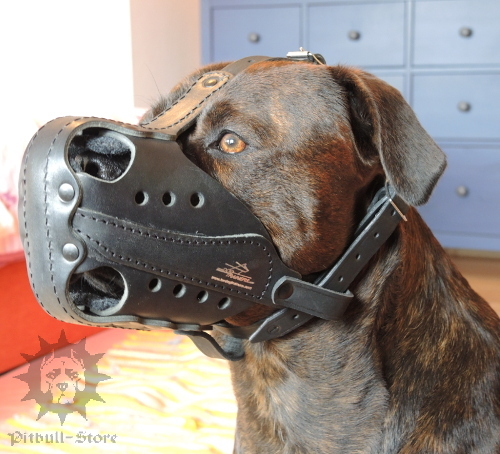 Repeating this method every day one gradually arises the time of being in a muzzle. 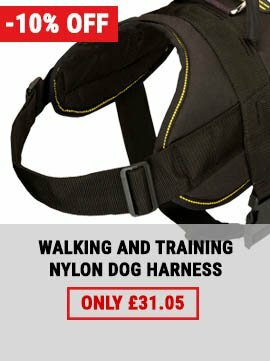 If one does it every time before a walk the puppy won’t be much depressed with muzzle wearing procedure and will soon get used to it. 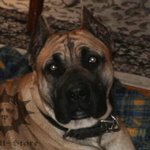 As far as the puppy grows one has to change a muzzle several times. 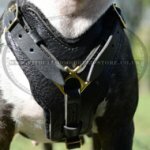 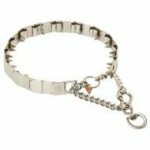 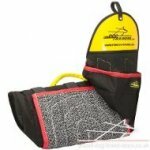 Try to wear it in such a place where your Pit Bull has nowhere to hide. 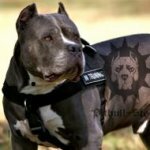 Does the Pit Bull perform the words of commands? 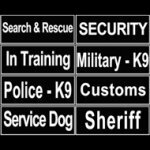 Call it to the kitchen and say “sit”, for example. 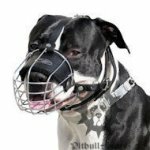 Wear the muzzle before meal on a minute or two so that the Pit Bull knows that the muzzle is sure uncomfortable, but not for so long time and after that something good will happen. 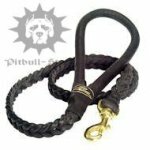 One can take for the first time a little loose muzzle so that the Pit Bull will be able to open its mouth and take the dainty. 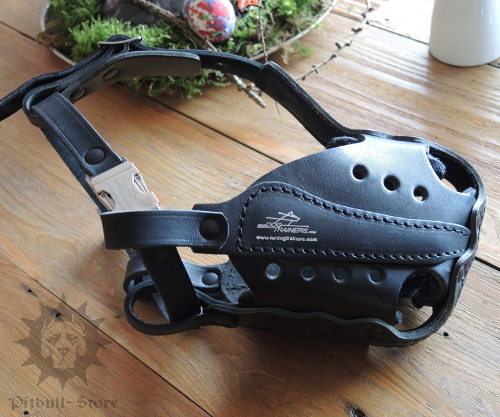 Having put on the muzzle with the dainty in your hand, having complimented, at the same time having played for some time, having patted, having asked it for some commands quickly (showing the dainty) and having set the Pit Bull – then put off the muzzle. 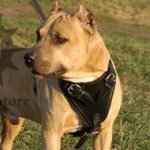 It is better not to give any occasion to the Pit Bull to put off the muzzle itself – then it will be putting it off every time. 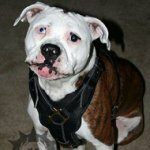 Let it know that you and only you will put off the muzzle, it does not matter what good the Pit Bull makes. 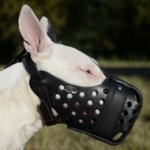 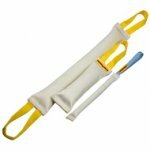 Click here to choose the best muzzle for your pet!